AM Yoga: Yesterday morning both the mens and women’s team yet again had our early morning vinyasa yoga session. It started off a little slower than normal, which I really appreciated as it helped my body to ease into the poses. PM Practice: Let me tell you a little bit about what was going through my head at 4:15 pm yesterday as I left my last class of the day: To practice, or to nap? That is the question! Since official NCAA practices start today, yesterday’s practice was optional, and I seriously considered plodding back to my room to curl up in my bed for about an hour. After some deliberation, I decided against it, and hit with a teammate, Kira for about an hour. 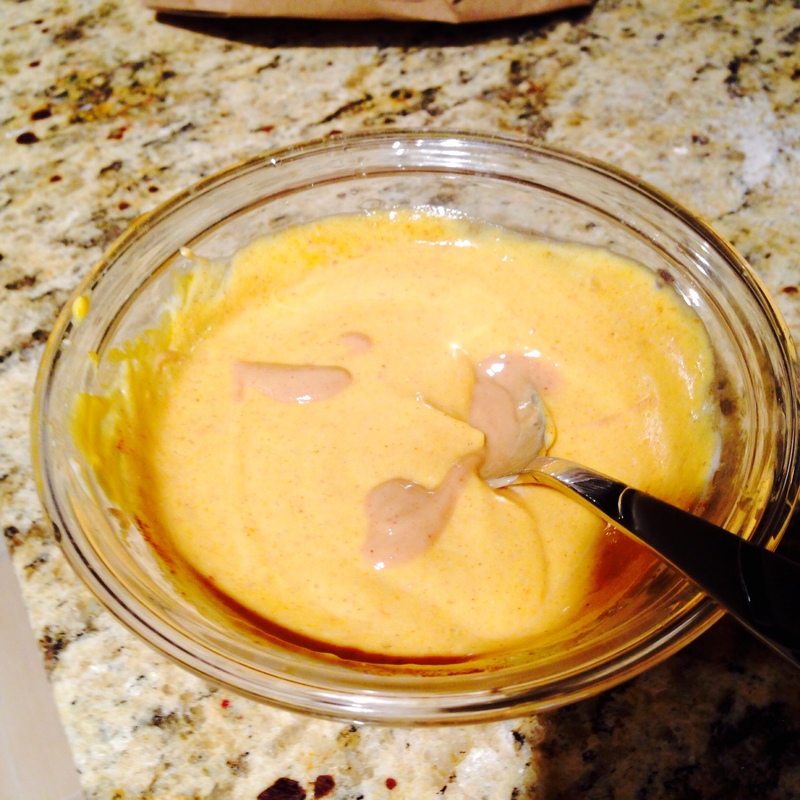 I made myself a little pumpkin parfait the other day, with plain Greek yogurt, canned pumpkin, and pumpkin butter, with some cashew butter drizzled on top. Be proud! I’ve had these nuggets for almost 4 days now, and I still have basically the whole container left! 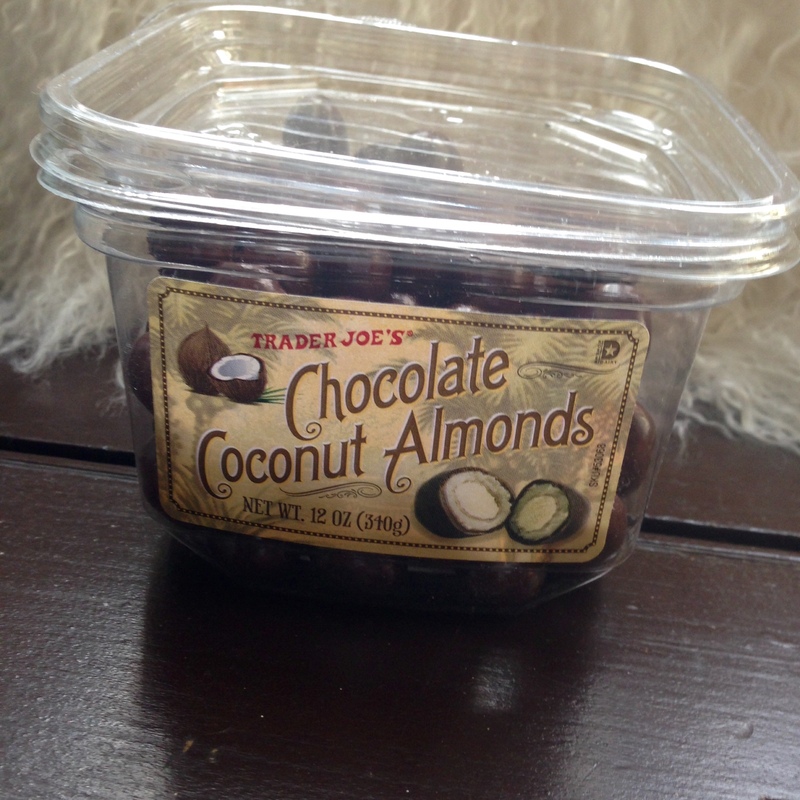 These almonds are sweet and perfectly crunchy, and a great way to satisfy a little sweet craving after a meal (or before a workout…?). 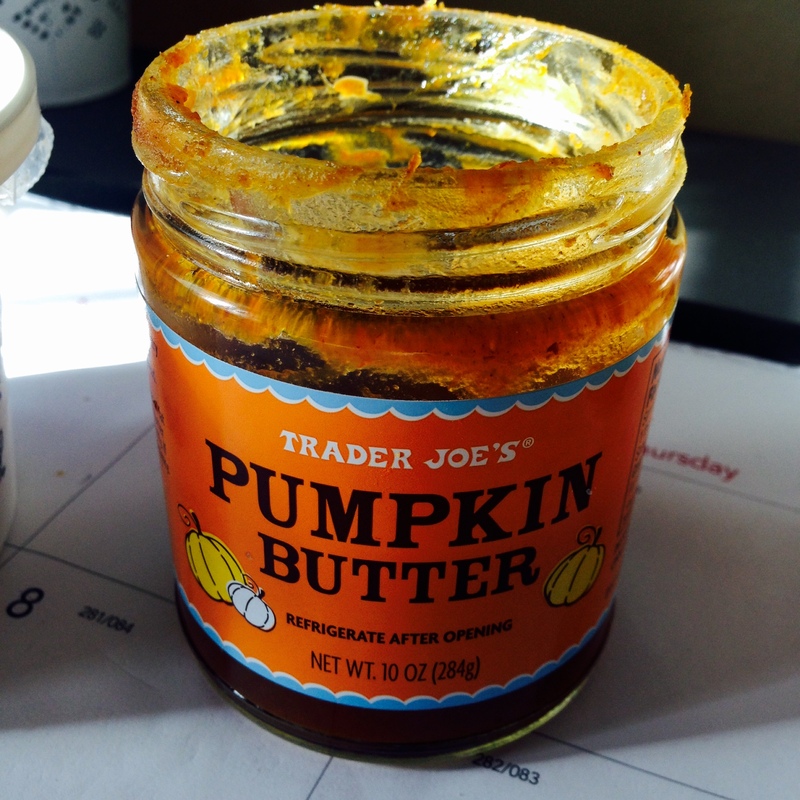 I’ve been enjoying my pumpkin butter a couple of ways, with cottage cheese (don’t hate! 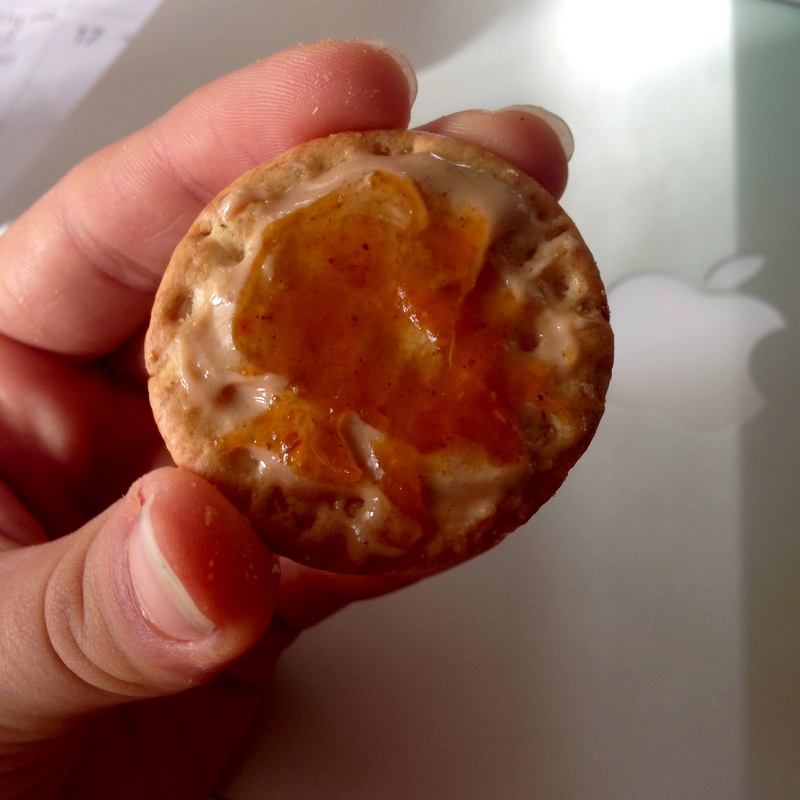 ), and topped on crackers with some cashew butter. 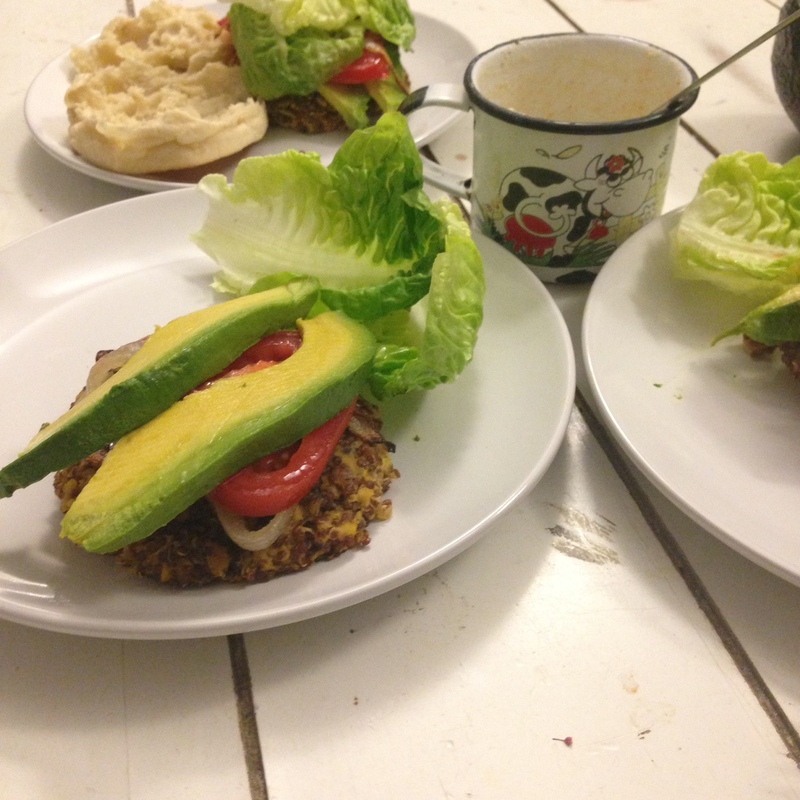 These combos may or may not have turned into breakfasts over the past couple of days. Yumz! Ps. 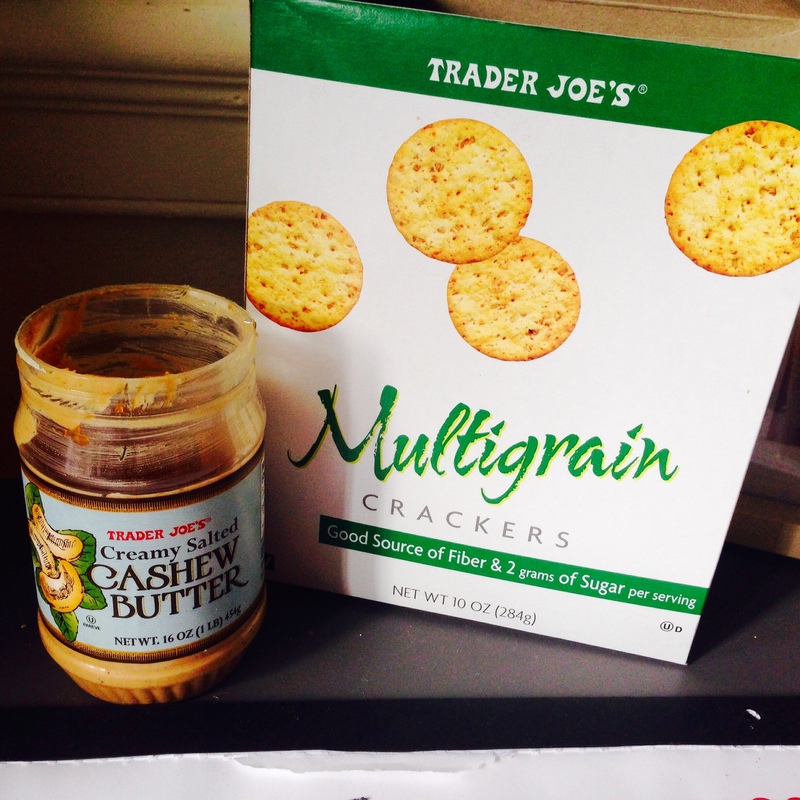 The crackers I’ve been using are the multigrain crackers from Trader Joe’s. They’re pretty inexpensive (about $2.50 a box?) and they’re great with both sweet and savoury toppings. Just then you thought I couldn’t make any more combinations- stop that thought right there! 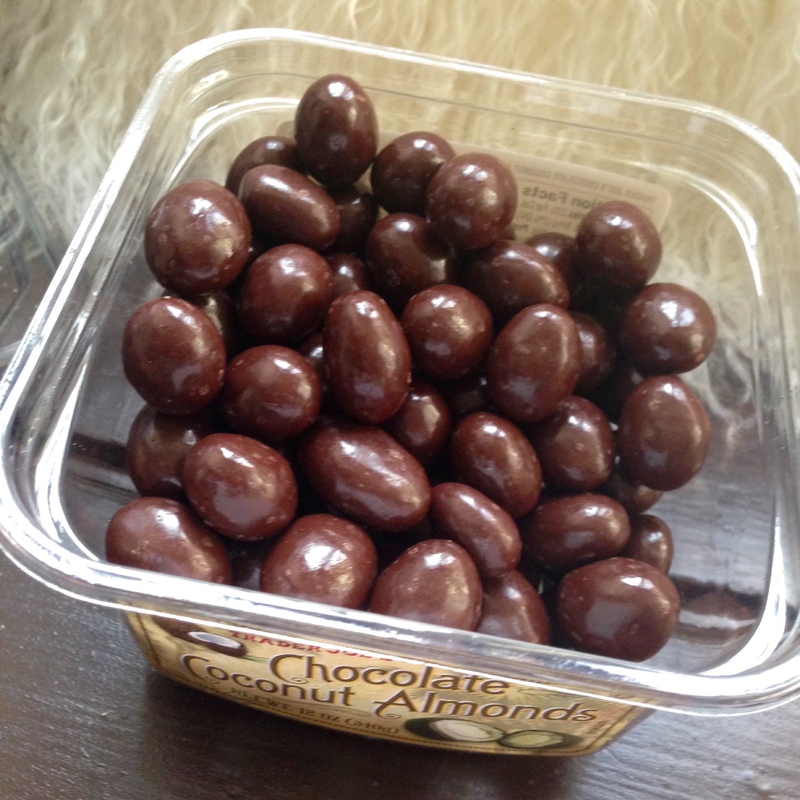 I will always make more combinations- especially when they involve nuts. Or coconut :). 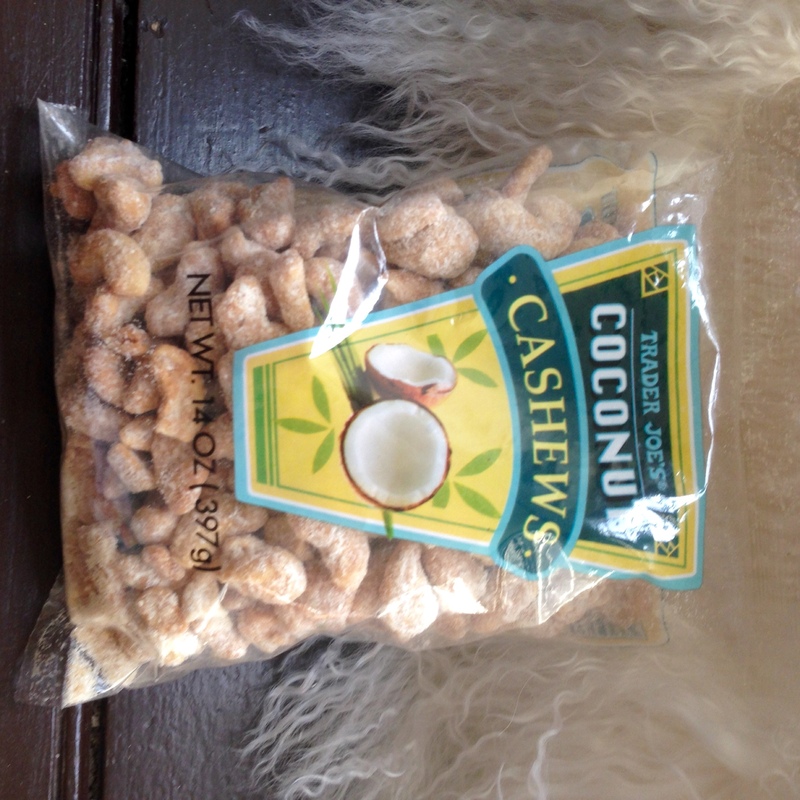 The best thing about these nuts besides the fact that they taste amazing, is that they don’t have any other ingredients, other than cashews and coconut! No sugar added = big ups from me! Probably my favourite purchase over the past couple of weeks. 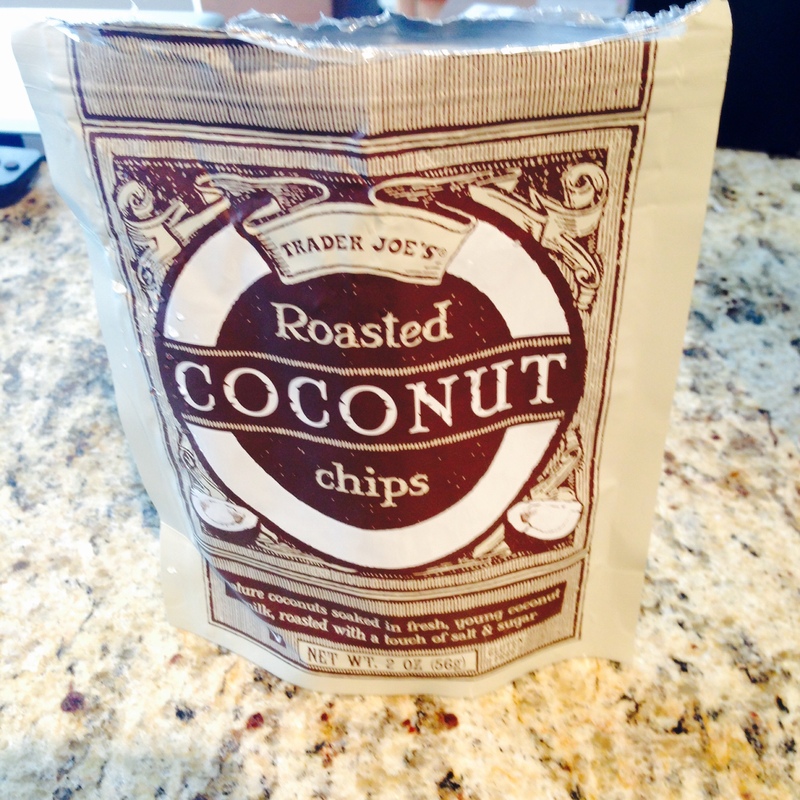 I just love how these chips aren’t really chips, but are rather just toasted coconut pieces! They’re crunchy, sweet and salty, and kind of creamy at the same time! Wins across the board! Blogging time’s up, and I am feelin’ a Wawa pumpkin spice coffee before my X-ray. Toodles!